I have a confession. I don’t understand the Pumpkin Spice obsession. Before you discredit my true affection for all things food and fall, let me justify my stance. For one, I don’t drink coffee so the #PSL rage has never been on my radar. Secondly, I’m no fair weather pumpkin lover. I eat it for breakfast year round, so to me, it’s just as commonplace as a box of cereal. So to get all giddy on September 1 (when it’s socially justifiable) to consume large amounts of all things pumpkin seems a bit disingenuous. But these. These Pumpkin Spice Dark Chocolate Truffles have won me over as THE treat that will make a believer out of anyone who is judgy toward the beloved pumpkin spice. These Paleo bites have the perfect blend of cakey center with hard dark chocolate shell, and perfectly sized for losing control of portions. They’re so easy to make, my 2-year old mixed everything into the food processor and pulsed it until I told him to stop. Then I took over to roll the truffles before my kitchen got destroyed by willing but unable hands. In a food processor, combine all ingredients for the center and pulse until a doughy, cakey consistency is achieved. It should be soft but malleable. Form into 1″ balls and place on a cookie sheet covered in parchment paper. Pop these in the freezer or fridge while you begin to prepare the chocolate shell. In a small saucepan, melt the dark chocolate chips and coconut oil together until smooth. Remove the truffles from the freezer and roll them one at a time in the melted chocolate using a spoon to coat all surfaces. Before the chocolate sets, sprinkle with pecan crumbs or sprinkle of cinnamon to garnish. Keep cold until you’re ready to serve! Hi! 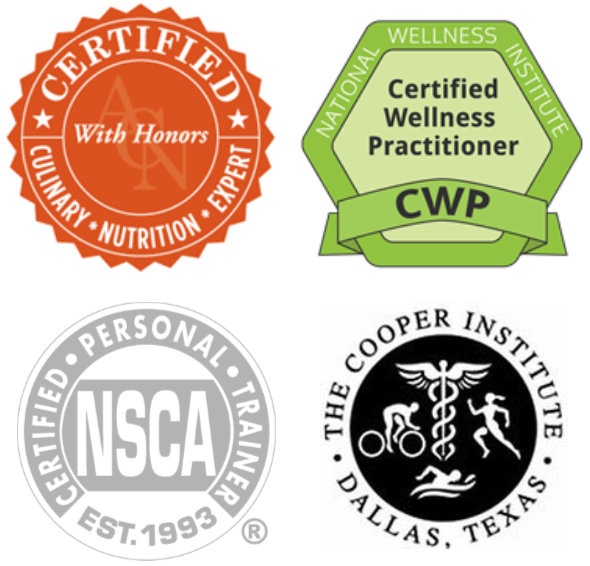 I'm Jaclyn, a Functional Nutrition Coach, Culinary Nutrition Expert, and Certified Wellness Practitioner. I've made it my life's mission to motivate people toward optimal health. I would be honored to help you discover how nutrition can heal, nourish, and help you live your best life.